One of the greatest gifts you can give your children is an exciting safari where they can explore a different country and be introduced to unique animals and birds. Not only will this be an educational trip, but the friendships and memories your children will make on vacation will last them rest of their lives. Some children are perfect travellers and others simply hate arduous journeys and long periods of waiting. Botswana has two ‘gateways’ into most regions, namely Kasane and Maun. From these towns, you’ll most likely board another short flight to your camp or lodge. The travel times to these destinations will depend on the weather, the amount of passengers on board and the distance to your final destination. You can expect a journey that takes anywhere between 45 minutes to one and a half hours. You know your child the best, so if you think that your child will struggle on a long journey, think carefully about whether they will be able to handle the travel time required for a safari. The most important thing when looking for the right safari experience is the safety of your family. All safaris are safe, but some are simply unsuitable for children. 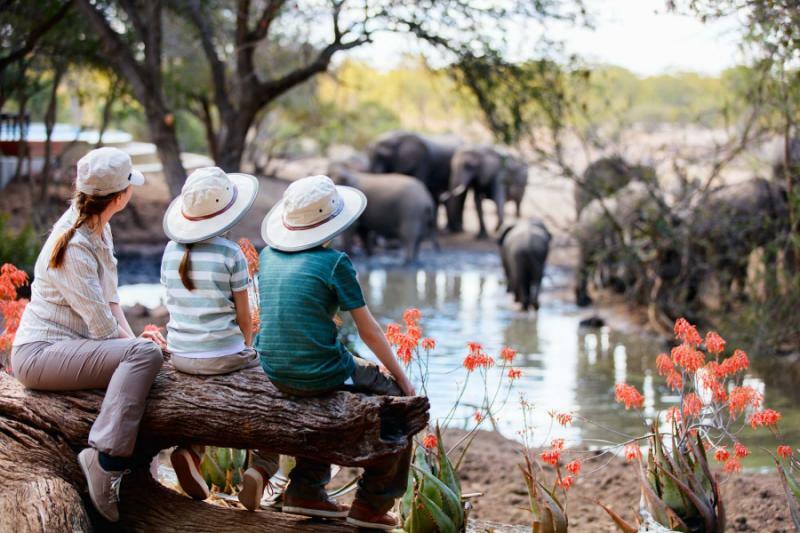 Whether it’s an unfenced swimming pool, or a lodge perched high above the ground, these are kinds of considerations you need to take into account when planning the perfect family safari. Many camps and lodges are unfenced, meaning that there are no boundaries between the camp and the resident wildlife. You should never leave your child unsupervised in this environment. Many camps and lodges offer child-minding services, so do your research before you make a booking. In addition, Botswana is not a malaria-free destination, so you should consult your healthcare practitioner about preventative measures you can take to avoid getting malaria. Botswana’s rich natural and cultural heritage means that there is no end to the educational activities your child will experience. From excursions to a local, traditional village, to the thrill of fishing along the Chobe river, there is something for everyone to enjoy in Botswana. There are family-orientated camps that offer an array of separate activities for children. Contact us should you wish to find out more about including this option into your family safari experience. There are two seasons in Botswana, the wet season and the dry season. During the wet season (December to March) it rains a lot and there will be plenty of newborn animals to delight the kids. This is the low season, so prices will be greatly reduced, a bonus if you’re travelling with your family on a budget. The dry season (April to November), in contrast, can be very hot and humid which could make an inexperienced safari-goer uncomfortable. Game viewing is much better during this period though, so you might have to make some sort of compromise here. It’s important to remember that some camps and lodges have age limitations on children joining their parents on safari. Age restrictions can be anywhere from 6 to 12 years for certain activities (such as game drives). These measures are in place to ensure the safety and comfort of your children. Located in the heart of Botswana’s watery wilderness, Linyanti Ebony Camp is ideal for families looking for a bit of intimate bonding. There is a luxury family tent available, or your choice of three twin-bedded suites, depending on your budget and the age of your children. They offer family-friendly activities to enjoy as a group such as mokoro rides (a relaxed meander through the waterways of the Linyanti Wetlands in a traditional canoe), fishing, game drives and walking excursions. Chill by the swimming pool or opt for a private safari (at an additional cost) just for your family; the ultimate bonding experience. Another pristine camp located in the Linyanti Wetlands, this camp offers exquisite views over the Savuti region. Known as the ‘Elephant Corridor’, this particular part of the wetlands is elephant mecca. There are ample family-style suites available, as well as a swimming pool and communal dining area that offers panoramic views of the surrounding landscape. Birding is marvellous at this camp and a special hide allows the little ones to enjoy identifying local bird species and work on their photography skills. The star bed is another attraction for young astronomers where they can enjoy an open-air bed that offers great views of the starry sky. For something a little different, the Central Kalahari Game Reserve is a wonderful way to explore this ancient desert. 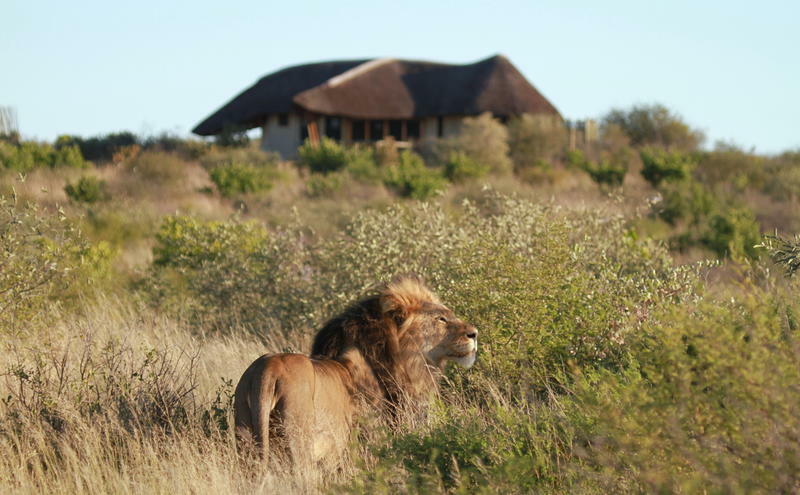 According to the camp managers, black-maned lions are frequent guests at the lodge, with an apparent preference for the family tents. In addition to luxury accommodation, Tau Pan offers cultural excursions where the kids can learn about the ancient heritage of the San people; a truly fascinating way to explore this age-old land. Toasting marshmallows around the communal camp fire and gazing at the stars are some more child-friendly activities on offer. This remote tented camp is perfect for some quality family time. Visitors are kept to a minimum and game viewing is a intimate affair. There are no age restrictions here, except for the mokoro rides were children are required to be 16 years or older. Located a stone’s throw away from the Moremi Game Reserve, there is ample wildlife for the kids to enjoy. Childminders are available during adult activities and dining, at an additional cost. Make sure your children are mature enough to be able to deal with predator-prey interaction. Oftentimes an animal kill can be distressing for young children. In our experience, older children tend to enjoy a safari much more than younger children.